Christmas Cards with Merry Little Christmas from Stampin' Up! Old Olive sprigs add a holiday feel to a Black and White Christmas Card. I'm loving the Designer Series Papers in the Merry Little Christmas Designer Series Pack. Today I chose two I haven't used previously to show you more items from this Christmas Suite from the Stampin' Up! Holiday Catalog. Today's card captures the shimmer of Christmas perfectly. Also, a quick reminder that some of your favorite Designer Series Paper Packs are on sale this month. Buy 3 and get 1 free. Merry Little Christmas Designer Series Papers from Stampin' Up! The basecard is Thick Whisper White, Then a layer of the Black & White Checks from the Merry Little Christmas Suite. There is an oval cut from a star pattern from Merry Little Christmas Designer Series Papers pack and it is matted with a layer of Silver Foil. The Oval is accented with three Silver Glimmer trees cut with the Card Front Builder Thinlits. That same set of dies include the tiny deer, which was cut from Silver Foil. Then I cut several pine sprigs from Old Olive using the Pretty Pines Thinlit and layered four of them under the sentiment. The sentiment is from the Teeny Tiny Labels stamp set. It is stamped in Basic Black Archival and punched using the Classic Label Punch. I didn't order this punch when it first came out a while back, but once I got it, I find it is one of my most-used punches. You can't beat Teeny Tiny Wishes as an all-around sentiment stamp set, and the Classic Label Punch is a perfect compliment for the enormous number of sentiments in this set. While I purchase clear mount stamps for most of my stamp purchases, I own Teeny Tiny Wishes in a wood- mounted set because of its heavy use, and due to the small size of many of the sentiments. I'm a messy stamper with several projects on my work table at the same time. Small, clear-mount stamps have been known to be lost for days buried under project debris or clinging to stamp cases strewn among the clutter. In this photo I included one of the new mini pizza boxes decorated with pieces from the Year of Cheer suite, a silver foil snowflake, and matted in Basic Black. I used the backside of one of the Foil Snowflakes and sponged it with Basic Black. I think it works perfectly with the large number of Black and White Designer Series Papers we have this year. Take a look at some additional ideas for using the Merry Little Christmas suite from the Holiday Catalog. 144621 - 12" X 12"
Have your Free Holiday catalog? Download a free copy of the new Holiday catalog here. 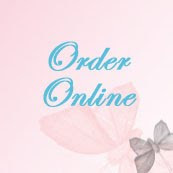 Order using this months specials, at the end of this message, and save on your Fall and Christmas projects. Register today for the Oct 15 class where we'll make the Halloween treats and card projects pictured below. We'll use the Spooky Cat stamp set, Labels to Love Stamp set and coordinating Everyday Label Punch, the Cat Punch, Black Rhinestone Jewels, Vintage Crochet Trim, Black Shimmery Ribbon, Treat Tubes, Clear Tiny Treat boxes, and Mini pizza Boxes. All products are available from Stampin' Up, and I recommend ordering as soon as possible to make more of your favorites on your own to ensure you receive your order in time for Halloween. I've been working with these products now for a couple of months, and I've had so much fun creating cards and projects quickly and easily with all the coordinated products. 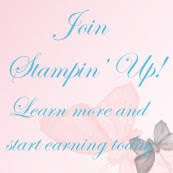 NOTE: Stampin' Up! has already sold out of all the popular Fast Fuse and two free Fast Fuse refills offered as part of this promotion. They sold almost two years worth of inventory in 5 days as part of the World Card Making Day promotion. They are going to make it up to us by offering us this great promotion again sometime within the next few months. Until then, I have plenty of Fast Fuse you can purchases during my classes until we see these great prices again. Save 15% on select Stamp sets. But don't wait. The World Card Making Day Sale ends October 10. 1. Place a $300 order (not including tax or shipping) during October and earn the Merry Patterns Stamp Set FREE. 2. Get 1 Free when you buy 3 Select Designer Series Paper. 3. If your order totals over $150 (less tax and shipping), you qualify for shopping rewards. This is free merchandise you select from the current catalogs and add to your order.